A few weeks ago, I had a very short hair-cut. I came back home and my little brother laughed at me and said “WTF, are you trying to look like John Connor? !” Then, I thought that since I already have his haircut, might as well keep the goatee as well, which I did. So the whole of this week, I have been going around telling people how I am trying to look like John Connor. I was simply being annoying and so full of myself. 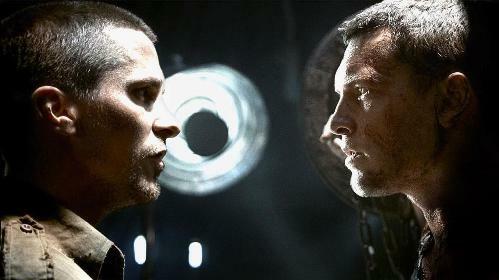 All this of course, makes the anticipation for ‘Terminator Salvation’ even greater. Just last month, I couldn’t actually give a damn about the film but this week alone, after re-watching ‘Terminator 2’, after watching the awesome 4 minutes trailer for the film, after realizing just how much I like Christian Bale, and after realizing how much I look like John Connor (kidding ok? ), the anticipation just sky-rocketed. Now I wish it didn’t. The next stage of the Mat Rempit evolution. Alright, I am not saying that it’s a bad film. It’s actually pretty damn good. By that, I meant that it have some minor flaws that prevented the movie from achieving such heights like that of the second Terminator film. Obviously, James Cameron did not return to the director’s chair and has been replaced by a guy who does not even have the decency to have a proper name, McG. Although he might not have the talent to make a truly profound film, he does have the talent to revamp a dead franchise into something totally different. This is not James Cameron’s ‘Terminator’. This is McG’s ‘Terminator’. Gone are the bright sunlight, Arnold Schwarzenegger’s cool one-liners, comedic undertones, modern-day Los Angeles and good old fashioned action scenes and explosions. What you get instead is a post-apocalyptic world haunted by the evil T-500s and T-600s, where one wrong step could get your head splattered into pieces. Besides that, you will also get more serious acting, massive CGI-rendered (for the most part) actions sequences, louder and bigger explosions and a matured John Connor. The story takes place in 2018. Judgement Day has happened and the world is now ruled by Skynet. Terminators are all over the place, whether in the usual endoskeleton form (T500, T600, T800), motorcycle form (motor-Terminators), water-snake form (hydrobots), colossal robot form (the size of a Transformer) or as fighter planes (Hunter Killer). Humans did survive Judgement Day of course, and those who did formed a resistance to fight against these terminators. 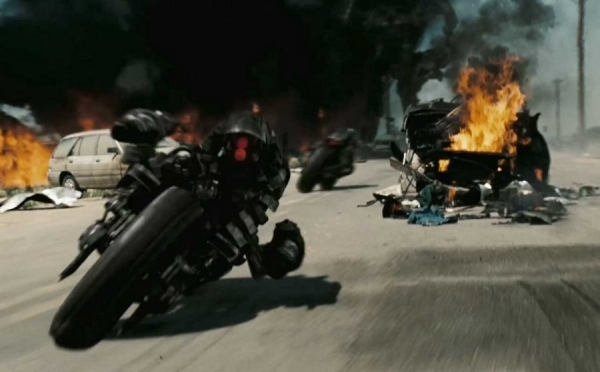 The L.A. branch of the resistance is led by John Connor (Christian Bale), ‘the chosen one’ who will lead the humans to victory in the war against Skynet. He is assisted by Kate Connor (Bryce Dallas Howard) and Barnes (Common) to name a few. Then in comes Marcus Wright (Sam Worthington), a man who was on death row prior to Judgement Day. After his death in 2004, his body was subject to a sort of experiment by Dr Kogan (Helena Bonham Carter). We later see Wright in 2018, full of life and escaping the facility which he was incarcerated in for the past 14 years. He was wandering the barren wasteland, trying to find out what has happened to the world. Along the way, he meets Kyle Reese (Anton Yeltchin), Blair Williams (Moon Bloodgood) and cute little Star (Jadagrace), before finally coming face to face with John Connor. Then his true identity is revealed: after his death in 2004, he has been reconstructed as a Terminator. If you think the synopsis above is too brief and that it doesn’t explain much of the plotline, that is because there’s not much story to the film. McG focuses too much on the action, which was spectacular, and left little room for character and storyline development. The result of this is that the audiences do not feel ‘engaged’ enough to neither the characters nor the plot. The storyline progression was so weak that all the audience could think of is more and more action, which works in a way. Unlike a certain action flick this year (ahem-Wol-ahem-ve-ahem-rine), the action was too good that the audience couldn’t care less for the lack of a hearty story. It is quite similar to how ‘Transformers’ worked. When watching ‘Transformers’, all one could care about are the big freaking robots and not what the heck ‘quantum mechanics’ is. 2000: Kyle Reese was born. 2018: 18 year-old Kyle Reese met 30-something year-old (a guess) John Connor. 2029: 29 year-old Kyle Reese is sent back to 1984 to protect Sarah Connor. 1984: Kyle Reese and Sarah Connor made a baby. Kyle was killed shortly thereafter by the T-800. 1985: The baby was born and his name is John Connor. This becomes a repetitive process. The money shot of the film. As for the cast performances, Sam Worthington stole the show as Marcus Wright. The film revolves around Wright for the most part and Worthington pulled it off, although he is a newcomer to Hollywood. His character was the only one that the audience cared about and that wouldn’t have been possible if it was played by, say, Orlando Bloom. Worthington was the right man for the right job, though critics did have a thing or two to say about his Australian accent being quite apparent a couple of times. I feel that it is something most would be able to look through. Anton Yelchin, who plays Kyle Reese, is another guy many regards as the best actor in the film. After seeing him in ‘Star Trek’, one could clearly see, as an actor, how Yeltchin was able to shift from playing the perfect teenage Russian spaceman to the perfect teenage American rebel. However, his character does not have that much screen time, but his brilliant performance made the audience truly missed him when he was ‘away’ for most part of the film. Bryce Dallas Howard and Common were in the film as well but their characters did not give much of an impact. Howard is hot but its quite sad to see her being reduced to a pregnant doctor (not a very smart move, McG!). Common was playing a similar type of character which he played in ‘Wanted’. Jadagrace plays Reese’s young accomplice, Star and she was so cute! I think they’ve learned a lesson from ‘Terminator 2’ to not give many lines to a kid because they sound irritating (Edward Furlong as John Connor). Star is about 7 and she played a mute in the film. Moon Bloodgood played Blair Williams, a resistance pilot who befriended Wright. I would have to say she is the better female actress in the film than Howard and being the only supporter of Marcus Wright when many of the resistance members were against him, she was able to score a lot of points from the audience. "You and I...we're done, professionally." 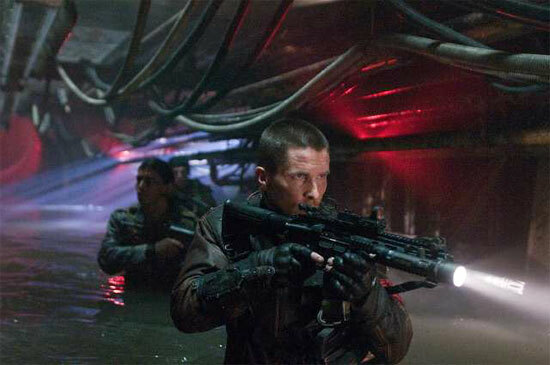 Lastly, we have John Connor, played horribly by Christian Bale. I can’t say whether it was his acting or how his character was written for the film, but the dude was very serious. So serious, I felt like jumping into the screen, tap his right shoulder and say ‘hey, chill la bro’. His seriousness not only made the audience not care for him but made some even hate him. 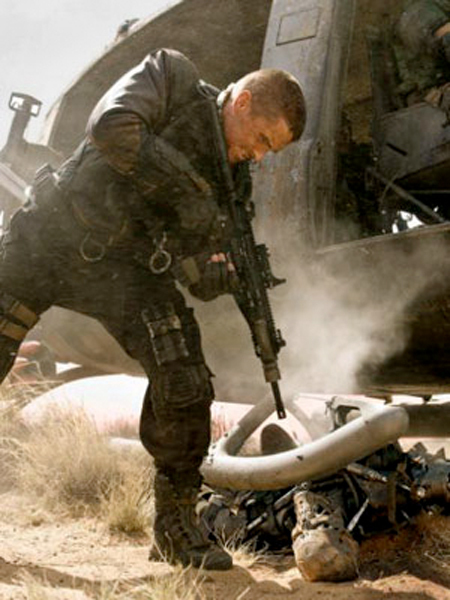 With Worthington being the people’s favorite, Bale reduced Connor to a second rate character that the audience felt should just wither and die. The writers also spoilt the character by making him say his name way too many times. I am now officially sick of the name John Connor. Marcus Wright is the new face of Terminator. 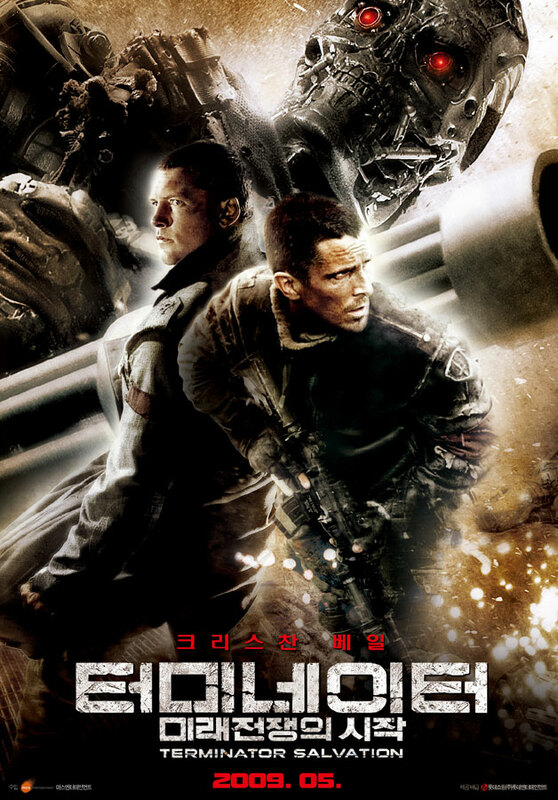 ‘Terminator Salvation’ is not a terrible film. It’s a pretty decent action film, but that is all to it. If you’re expecting something like ‘Citizen Kane’, then you’re looking at the wrong film. The writer could have cut down on some action sequences and explore more on the characters to allow the audience feel more connected to them and the overall story. Again, one good thing the writers did do right was not over-complicating the story just to ‘keep up with the times’. By doing so, the audience might have left the cinema with a sense of hatred towards the film. The simplified story thankfully did not aggravate the audience to that point. Overall, a typical entertaining summer film, which I hope to see a continuation, but less of John Connor. Fazil did look like John Connor.